The Territory of Colorado was an organized territory of the United States that existed between February 28, 1861, and August 1, 1876. 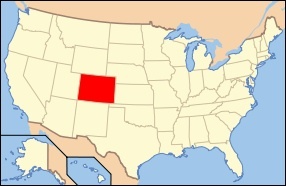 Its boundaries were identical to the current State of Colorado. 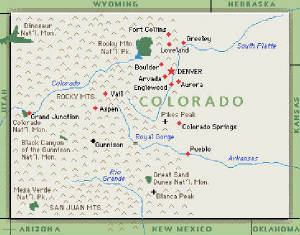 The territory ceased to exist when Colorado was admitted into the Union as the 38th U.S. state on August 1, 1876. The Colorado Territory was created from lands ceded in the 1803 Louisiana Purchase and the 1848 Mexican Cession (The Treaty of Guadalupe Hidalgo).